With huge knowledge of the respected industry, we are engaged in distributing, wholesaling and supplying superior quality Seamless Pressure Pipes which are sourced from authentic vendors of the market. Our offered pipes are broadly appreciated by our clients for their high quality standards. In order to meet maximum clients' satisfaction, these pipes are available in various dimensions. Besides this, our prestigious clients can avail these pipes from us at market competitive prices. At American Piping Products, we distribute pipe that meets the latest chemistry standards from ASME. Established in the year 1997, in Chandigarh (India), we Kothari Pipe Stores Kiran Pipe House, are recognized as noteworthy Distributor of Jindal Pipe Limited and Maharashtra Seamless Limited. Wholesaler and Supplier of All IBR Boiler Tubes And Pipes, MS ERW Black Pipes, Carbon Steel Seamless Pipes, etc. These pipes are using optimum grade raw material with the help of latest technology under the supervision of skilled professionals. Owing to dimensional accuracy, sturdy construction, corrosion resistance, perfect finish and durability, these pipes are highly acknowledged by our clients. The offered pipes are used in different industries like Power Projects, Pharmaceuticals, Sugar, Chemical, Automobile, Building, Fire Fighting, Air Conditioning, Boiler and other Heavy Industries. Jindal Pipes Limited (JPL) was incorporated in 1970 with a production capacity of 3,000 TPA for manufacturing of Steel Pipes & Tubes. 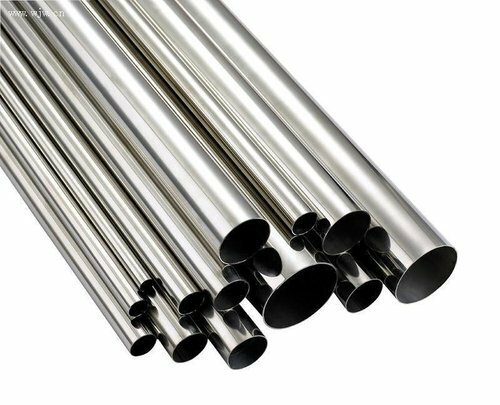 Since then, the Company has brought phenomenal development in Pipe, Black and Galvanized Steel Pipes Manufacturing Process through many innovative measures.. Induction of sophisticated state-of-the-art technical know-how and highly motivated & skilled workforce have made possible for the company to augment its production capacity to 2,50,000 TPA. It is now synonymous with India's one of the best and largest manufacturer of ERW, Black and Galvanized Steel Pipes & Tubes in different thickness from 2.00 mm to 10.00 mm having an Outer Diameter (OD) ranging from 1/2" to 20" NB conforming to various National and International Standards. Jindal's idea of total quality is demonstrated in its stringent controls on raw materials, production process and on the speed with which the product reaches the customer. It's 'No compromises on quality', policy has brought it an ISO 9001, API and BIS certifications. Jindal Pipes Ltd. has in-house laboratory to undertake various testing and inspections during various stages of manufacturing. Part of the D.P. Jindal Group, Maharashtra Seamless Limited (MSL) is the largest Manufacturer of Seamless Steel Pipes & Tubes in India, with a Production Capacity of over 350,000 MT per annum. Maharashtra Seamless Limited has expanded its Production Facilities, using PLUG MILL technology supported by World Class Reelers, to manufacture for the first time in India, large size Seamless Pipes of diameter up to 14" and wall thickness till 40mm. It is also developing sizes 16", 18" and 20" diameter seamless pipe. The wide product range covers sizes & specifications catering to diverse application areas like Oil & Gas sector, Hydrocarbon Industry, Boilers & Heat Exchangers, Automotive, Bearing and General Engineering Industries etc.